It does seem that for a visible minority, Muslims are a highly visible majority in the mainstream media news. News reporting like this Global News story headlined “Hate crimes against Muslims in Canada Increase 253% Over Four Years” appears alarming. It also appears to provide statistical support for the visual media perception of a beleaguered Muslim community. In reality, this explosive headline is misleading and hyperbolic. Getting past the headline, the article itself casually provides the real, hard numbers from Stats Can, which show that the Muslim community experiences far less hate crime than Jews and African-Canadians: “in 2015 [there were] 159 hate crimes targeted at Muslims, up from 45 in 2012”. Forty-five more incidents (alleged or actual the article doesn’t say), not over the past one year, but over the past three years against Muslims in Canada is not to be minimized or discredited. However, it is certainly not what the headline implies, especially when taken into the following context. For those who can shake loose the first impression of the hyperbolic headline, next in the article comes a huge dose of truth and reality: “members of the black community in Canada remained, by far, the most targeted group”; and, “Jewish Canadians still experience the highest incidence of religion-related hate crimes”. Looking at the actual Stats Can data, it’s actually the “black community” and “Jewish Canadians” who experience higher incidences of hate crimes, by a long shot. This disparity between truth and media spin may explain why a Motion like M-103 is desperately trying to enter Parliament Hill as quietly as possible. Here is the text of M-103. Here is the key opening paragraph. Given the stats from Stats Can why does M103 lead with, and set up for special attention, Islamophobia without even giving the most discriminated against, the “black community” and “Canadian Jews”, an honourable mention? Maybe this 2018 study, which suggests that Muslims are more unpopular than any other visible minority group is the outcome of Liberal politicking with Motion 103 in how it sets Muslims apart and above everyone else. Maybe Canadians just aren’t buying the mainstream media news spin anymore, and they know when someone is trying to pull the wool over their eyes. The mainstream media adamantly proclaims that M103 is a motion, and not a bill, so it would not go into Canadian law and curtail anyone’s free speech rights to criticize Islam, at least for now, so please calm down. Since the Liberals play fast and loose with the law these days on immigration, I’m not sure that matters. On July 4, 2018, Iqra Khalid, the same Liberal MP putting forward M103, announced $23M of Canadian tax payer money was given to the National Council of Canadian Muslims, and an organization called Islamic Relief. Both of these organizations have been accused of links to terrorism in many countries including the USA and Israel, according to Tarek Fatah, a Muslim Canadian, and Toronto Sun reporter. M103 may more aptly be called a “Money Motion” to gain even higher visibility and privilege for Muslim Canadians, not on the initiative of the vast majority of moderate Muslims who are strong contributing members of Canadian society, but engineered by Liberal politicians and Radical Muslim activists. The result is the same. All Canadians should be united in their outrage. Here is another article on Islamaphobia and resolving the apparent contradiction that Muslims complain of Islamaphobia, yet undertake actions that make people afraid of Islam. 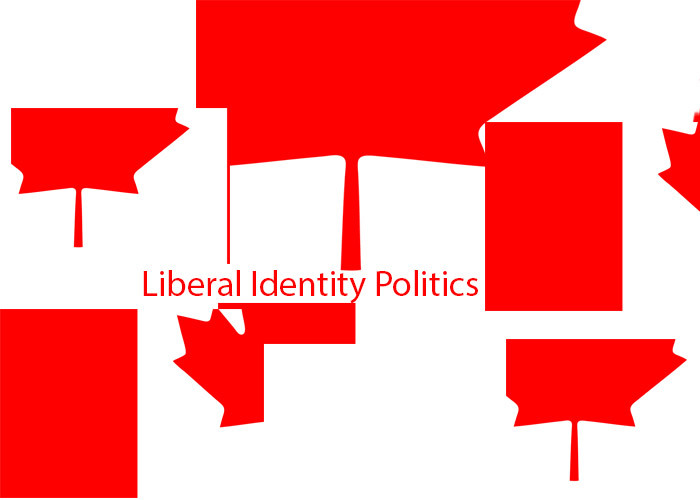 This entry was posted in "New Speak": Liberals Manipulating Through Language, Halal Islamic Sharia Law, Immigration, Islamic Activism, Sharia Law in Canada, Liberalism-Socialism-Communism, Mainstream Media, Politics, Canada, Religious Freedom and Christianity, Think Over News and tagged canada, discrimination, funding, Iqra Kahalid, m103, motion 103, racial equality, religious equality.